The first time Dr. Faraday sees Hundreds Hall at a fete in 1919 he is only ten years old and the lovely Georgian mansion seems to him ‘blurred and slightly uncertain – like an ice, I thought, just beginning to melt in the sun.’ But his desire for the house – even a curious sense of entitlement – leads him to prise a plaster acorn from the decorative border in one of its passages: a small act of vandalism, the shame of which remains with him and which he recalls nearly thirty years later at the end of another war, when he pays the Ayres family a professional visit. Shock and dismay at the deterioration of Hundreds Hall – a process which he, perhaps, had initiated all those years ago – is followed by some irritation at the offhand manner of Roderick Ayres, the war-wounded son of the family, and the insensitivity of his sister Caroline to the fears of their teenaged servant, Betty, Dr. Faraday’s patient. He is introduced to their elegant mother, whose life has already been blighted by the death of her first daughter, Susan, as a young child, and more recently by that of her husband. As they drink tea together after the consultation, the household completed by Gyp, their elderly black Labrador, the family learns that the doctor’s mother had once been a nursery maid at Hundreds Hall. 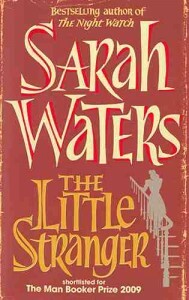 These, then, are the protagonists of The Little Stranger by Sarah Waters, a novel which has been the subject of speculation by some of the keenest literary minds in the country as well as the Withiel Book Circle. To which genre does it belong? Or does it bestride several? 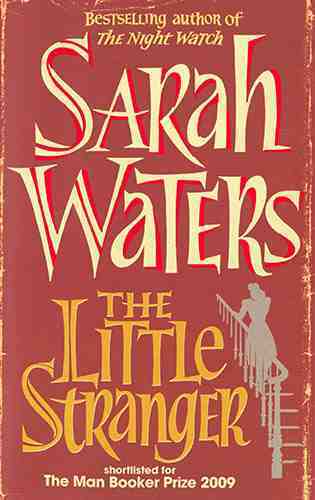 Who is the titular little stranger? And what on earth are we to make of the ending? It certainly combines gothic spookiness (burn marks and childish writing appear on the peeling walls, objects move of their own volition, mysterious footsteps are heard in the attics and fires break out) with sharp social observation. It inhabits an entirely believable late forties England, in which the woes of the landed gentry are laid squarely on the Labour government, and our unreliable narrator, Dr. Faraday, is awkwardly poised between classes as he becomes increasingly indispensable to the Ayres and their decaying house. And outside, just beyond the park walls, a new housing estate is gradually encroaching upon the glorious view from Hundreds. Calamities come thick and fast. The anticipation of these is the source of much of the novel’s morbid pleasure, as the house seems to launch a series of attacks upon its inhabitants. But who, or what, is responsible? We argued about this and produced several theories, but no one finally convinced the entire group. At least most of us enjoyed the book! Next month we meet on 10th November to discuss Penelope Lively’s Family Album.